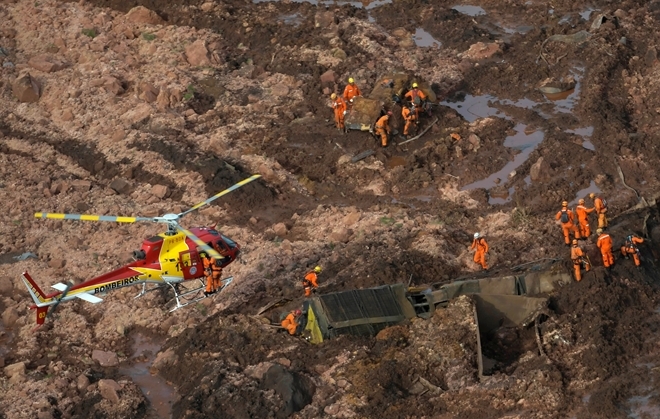 Risk of new Brazil dam burst forces 24,000 to evacuate homes. The evacuation efforts diverted attention from a search for hundreds of people missing after Friday’s dam burst unleashed a torrent of mud, burying the miner’s facilities and nearby homes, according to the fire department. “Our work is completely focused on the evacuation,” Pedro Aihara, a spokesman for the state fire department said. That dam break spilled five times the mining waste into a more remote region, burying a small village and contaminating a major river in Brazil’s worst environmental disaster on record.